While there was no pleasure and pain in man before the fall, there was a noetic faculty towards pleasure, through which man could enjoy God ineffably. But he misused this natural faculty. Man oriented the “the natural longing of the nous for God” to sensible things and thus “by the initial movement towards sensible things, the first man transferred this longing to his senses, and through them began to experience this pleasure in a way contrary to nature”. The words “according to nature” and “contrary to nature” show the complete ontological change that took place in man and depict his fallen state clearly. Of course, man did not invent this mode of operation of the faculties of the soul on his own, but with the advice of the devil. The devil was motivated by jealously against man, for whom God had shown special care and attention. It is interesting that the devil envied not only man but God Himself: “Since the devil is jealous of both us and god, he persuaded man by guile that God was jealous of him, and so made him break the commandment”. After the unnatural movement of the noetic capacity of the soul to sensible things and the birth of pleasure, God, being interested in man’s salvation “implanted pain, as a kind of chastising force”. Pain, which God, in His love for man, tied to sensual pleasure, is the whole complex of the mortal and passible body, that is the law of death, which has, ever since then, been very closely connected to human nature. In this way, the “manic longing of the nous” which incites the unnatural inclination of the soul to sensible things, is restrained. This whole analysis by St. Maximus the Confessor in no way reminds us of Platonic teaching about the movement of the immortal soul from the unborn realm of the ideas, and its confinement to a mortal body which is the prison of the soul. 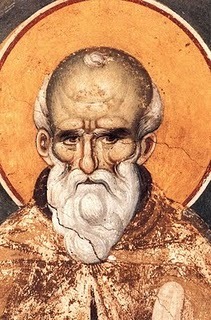 This is simply because St. Maximus the Confessor, being an integral member of the entire Orthodox tradition, makes no distinction between a naturally immortal soul and a naturally mortal body, he does not believe in an immortal and unborn realm of ideas, and, obviously, does not adopt a dualistic view of man, according to which salvation consists in his liberation from the prison of the soul, which is the body. In St. Maximus’ teaching there is a clear reference to the unnatural movement of the faculties of the soul and to the “manic longing of the nous”, which draws the body into situations and acts which are against nature. It is clear, then, that ancestral sin consists of the “initial movement of the soul” toward sensible things and in the “law of death” granted by God’s love for man. Therefore, pleasure and pain constitute so-called original sin. Pleasure is the soul’s initial movement toward sensible things, while pain is the whole law of death which took roots in man’s existence and constitutes the law of the mortal flesh. On several occasions, St. Maximus refers to “voluntary pleasure” and “irrational pleasure”, as well as to “involuntary” and “sensible” pain. Pain balances the results of pleasure, that is, it subtracts pain, but does not completely revoke it. After the Fall and the entry of the law of sin and death into his existence, man is in a tragic state, because, even though pain reverses pleasure and annuls its active movement, man cannot reverse and eliminate the law of death which is found within his being, and this law brings a new experience of pleasure. “Philosophy towards virtue”, namely man’s whole ascetic struggle brings dispassion not in his will but in his nature, because asceticism cannot defeat death, which is found as a powerful law within man’s being. Herein lies the tragedy of man, who may cure pleasure and obtain inner balance through voluntary pain (asceticism) and involuntary events (external grief, death) but is unable to liberate himself from pain, which is determined by the law of death. So far we have described how the link between pleasure and pain was established after the Fall. Pleasure was a result of the irrational movement of the faculty of the soul , with its natural consequence the coming of pain, along with the entire law of death. This combination of pleasure and pain became a law of human nature. Obviously, while living a life contrary to nature, man could not be delivered from this state which had become natural. Christ’s incarnation contributed to man’s liberation from this connection between pleasure and pain. St. Maximus the Confessor also makes some marvellous observations on this point too. It was absolutely impossible for human nature which had fallen to voluntary pleasure and involuntary pain to return to the former state “had the Creator not become man”. The mystery of incarnation lies in the fact that Christ was born human, but the beginning and cause of His birth was not sensual pleasure, for He was born of the Holy Spirit and the Virgin Mary, outside the human way of generation, and He embraced pain and death by His own free choice. For man, pain came as a result of sin, it was involuntary. 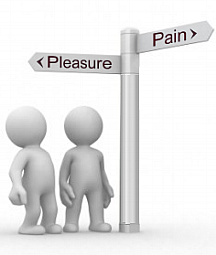 While for Christ, who was born without sensual pleasure, pain was received by choice. All humans born after the transgression, are born with sensual pleasure, which precedes their birth, because man is an offspring of his parents’ pleasure and, of course, no one is free, by nature, from impassioned generation provoked by pleasure. Thus man had the origin of his birth “in the corruption that comes from pleasure” and would finish his life “in the corruption that comes through death”. Therefore, he was a complete slave to pleasure and pain “and he could not find the way to freedom”. Humans are tortured by unjust pleasure and just pain and, of course, by their outcome which is death. For man to return to his previous state and to be deified, an unjust pain and death without cause had to be invented. Death had to be without cause, not to be caused by pleasure, and unjust, not following an impassioned life. In this way, most unjust death would cure unjust pleasure which had caused just death and just pain. In this way mankind would enjoy freedom again, delivered from pleasure and pain. 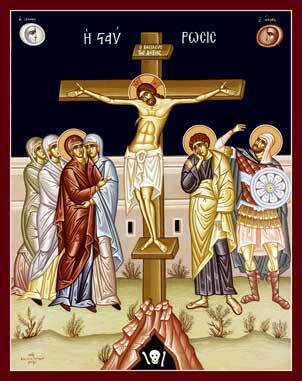 Christ became perfect man, having a noetic soul and a passible body, like ours, but without sin. He was born as a man by an immaculate conception and, thus, did not have any sensual pleasure whatsoever, but voluntarily accepted pain and death and suffered unjustly, out of love for man, in order to revoke the principle of human generation from unjust pleasure, which dominates human nature, and in order to eliminate nature’s just termination by death. 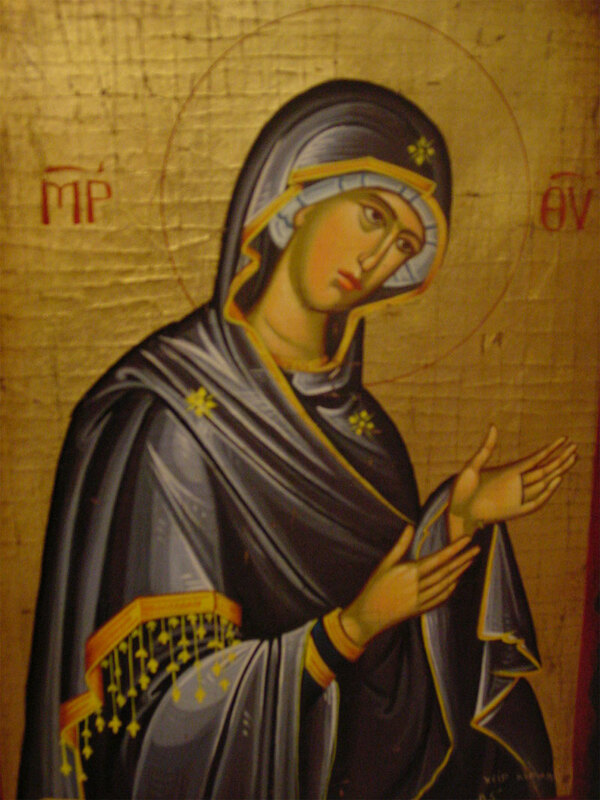 Thus, Christ’s immaculate conception as man and His voluntary assumption of the passibility of human nature, as well as His unjust death, liberated mankind from sensual pleasure, pain and death. Christ’s birth as man took place in a way contrary to that of humans. After the Fall, human nature has its principle of generation in “pleasure-provoked conception by sperm” from the father. A direct consequence of this sensual birth is the end, namely “painful death through corruption.” But Christ could not possibly be ruled over by death, because He was not born in this pleasure-provoked way. With His incarnation, Christ offered a different principle of generation to man, the pleasure of the life to come, by means of pain. Adam, with his transgression, introduced a different way of generation, a generation originating in sensual pleasure and ending in pain, grief and death. 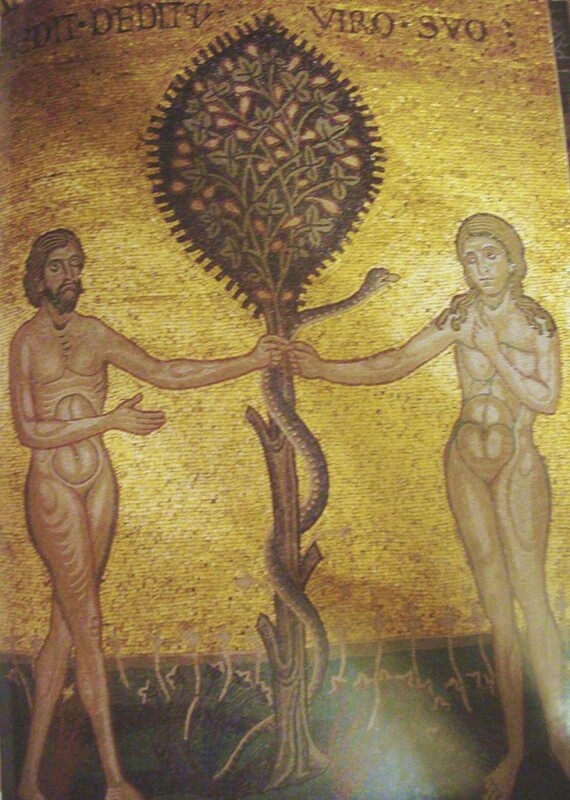 Thus, everyone who descends from Adam according to the flesh, justly and painfully suffers the end from death. Christ offered a different way of generation, because, through His seedless generation (birth) and His voluntary and unjust death, He eliminated the principle of generation according to Adam (sensual pleasure) and the end which Adam came to (pain-death). In this way “he liberated from all those reborn spiritually in him”. The way by which Christ became incarnate and cured human nature reveals indisputably that He is wise, just and powerful. He is wise because He became a true man according to nature without being subjected to any change. 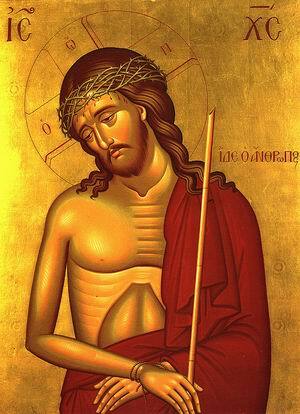 He is just, because He voluntarily assumed passible human flesh, out of great condescension and love for man. This is also why He did not make man’s salvation tortuous. He is also powerful, because He created eternal life and unchangeable dispassion in nature, through suffering and death, and in this way He did not show Himself to be at all incapable of achieving the cure of human nature.